ABC Nanny Source is profoundly interesting in finding out your feelings about our service! It is our ultimate goal to keep all our clientele happy! Without our wonderful clientele, we have nothing. We would love for you to please take the time to update us on how our agency is doing! We assure that all recommendations and any improvements needed will be addressed and recognized by management! You have our word of providing exceptional care and dedication to find a long-term match between your Virginia area family and the nanny! 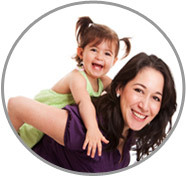 We understand in order to remain a leader in the in-home childcare industry, customer satisfaction is one of our top priorities to ensure that all our clients want to continue working with us for all their Nanny needs and we go above and beyond to be sure we maintain long term relationships with our families. The most excellent way you can thank us for job well done is to tell others about the wonderful experiences you have had with ABC Nanny Source! If could kindly take the time to submit our Customer Service Satisfaction Survey we would deeply appreciate it! Thank you!